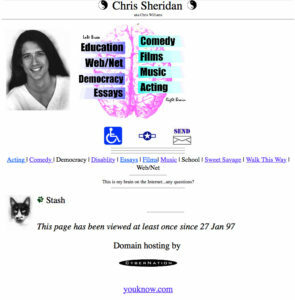 February 4, 2017 Chris S.
As I recognize 20 years of being on the Web, I thought it would be a good idea to re-boot my site and make it viewable on mobile devices. 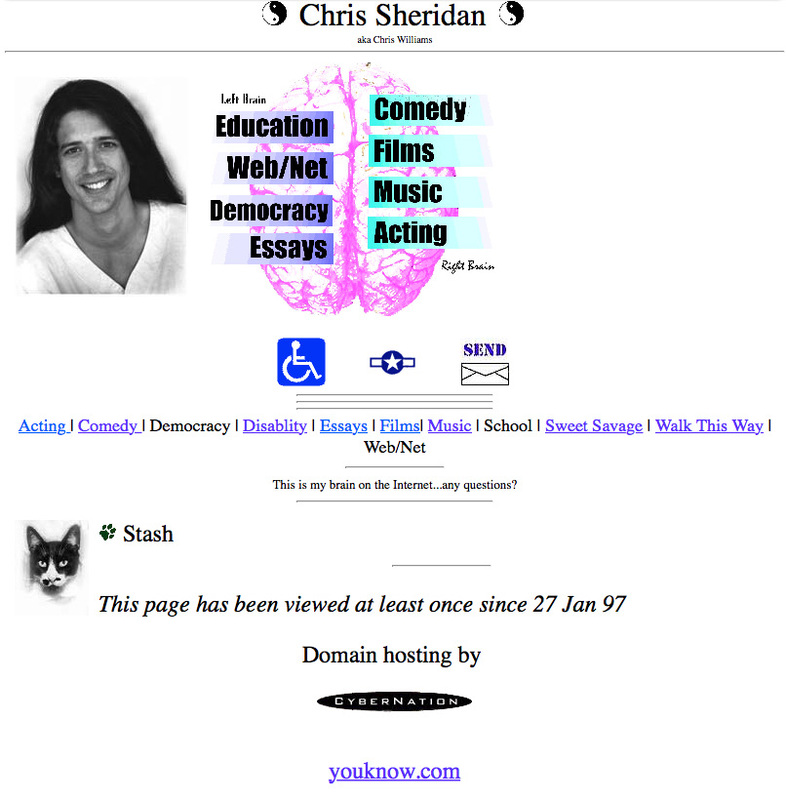 In 1997 I coded basic HTML by hand and now it is easier than ever to make robust websites. I have chosen to maintain the straightforward approach that the early sites reflected – minimal and functional. This new site will include all the things I’m involved with that I want to share. Some of my interests have spawned their own websites to cover the material in more detail. This one will be a sort of catch-all and a gateway to further explorations. Thank you for clicking in and please check back for more articles, writings, pictures or just about anything else!